Know someone who needs new golf clubs? A relaxing massage? 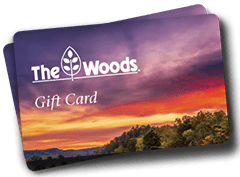 This card may be used for purchases at any of the following point-of-sale locations within The Woods: Clubhouse Grille, Pro Shop, and Sleepy Creek Spa. For more information and to order CALL 1-800-248-2222 or fill out the form below…. To request brochures please visit our Brochure Request Page. To sign up for our email list please submit the form below and save your profile. Thank you! © 2019 Potomac Valley Properties, Inc/The Woods Club, Inc. All Rights Reserved.